► See also Duhaime's Timetable of World Legal History, the Law's Hall of Shame and Celebrity Lawyers. The lives and times of the most famous individuals [for the infamous, see the Law's Hall of Shame] that have significantly shaped justice, law or legal institutions. The persons selected are taken from all nations and eras and based only on merit. Most are lawyers but this is not a criteria for inclusion. Nominations welcome! We're always looking for persons, dead or alive, that have made major contributions to, or have had a major impact on, the law. Please e-mail nominations by referring to the Contact Information page. Glanvill, Ranulf de • died 1190, England. (1748-1832). English legal reformer, born in 1748. 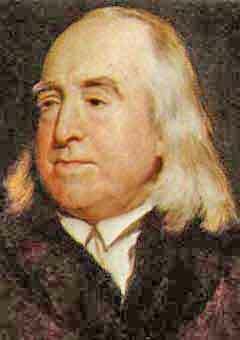 Son of a lawyer, Bentham got his law degree from Oxford but never practiced - once learned, he did not like rote law. He was a thinker, a philosopher, not as solicitor and even less a barrister. This English son of a lawyer urged the implementation of Beccaria's ideas in England where, in 1780, 350 different offences incurred the capital punishment. See, also, the The Strange (1832) Last Will and Testament of Jeremy Bentham. Bentham published Introduction to the Principles of Morals and Legislation in 1789 which introduced the principles of utilitarianism in England (the belief that the aim of the individual and the legislator in the conduct of society should be to achieve the greatest happiness for the greatest number). Amongst his popular ideas was a complete reform of the British criminal laws including a large reduction of crimes which were punished by capital punishment. His theories were so popular that he was made a citizen of France in 1792. When he died in 1832, his head was cut off and his body embalmed, affixed with a wax replica of his head and dressed. It is still preserved in that condition at University College in London. 1812-1870. Famous British author including such masterpieces as David Copperfield, Oliver Twist, A Christmas Carol, The Pickwick Papers, A Tale of Two Cities, The Bleak House and Great Expectations. His father was imprisoned for an unpaid debt causing a 12-year old Dickens to be forced from school and into a factory to work. At the age of 15, he became a clerk in a law office and began to report on law cases and the debates of Parliament. The Pickwick Papers (1836) was famously successful and thrust him in the limelight. Dickens used his money and fame to press for social changes to the real life misery of the London poor. He helped to establish a home for reformed prostitutes, argued for cleaning of the slums of London, education reform and improved sanitary controls. His bleak portrayal of a corrupt justice system in the book Bleak House (1853) has been called Dickens's masterpiece. Dickens visited Canada and the USA in 1842, causing a sensation. 1886-1972. Appointed to the High Court of Australia in 1929, and Chief Justice of Australia 1952- 1964. In 1950, Dixon (pictured, left) was appointed United Nations mediator in a border dispute between India and Pakistan. On his retirement, the Australian Prime Minister (Sir Robert Menzies) remarked: "I have heard at least two Lord Chancellors [of England] give it as their opinion that your Honour was the greatest judicial lawyer in the English-speaking world, and I have heard that view confirmed by the most brilliant and celebrated occupant of the Supreme Court bench in Washington." 620 BC. Draco, a Greek citizen was chosen to write a code of law for Athens (Greece). The penalty for many offences was death; so severe, that the word "draconian" comes from his name and has come to mean, in the English language, an unreasonably harsh law. His laws were the first written laws of Greece. These laws introduced the state's exclusive role in punishing persons accused of crime, instead of relying on the bloody system of private justice. The citizens adored Draco and upon entering an auditorium one day to attend a reception in his honor, the citizens of Athens showered him with their hats and cloaks as was their customary way to show appreciation. By the time they dug him out from under the clothing, he had been smothered to death. (1239-1307). Nicknamed the "English Justinian." King Edward institutionalized the practice of regularly summoning public assemblies of English nobility and allowing this assembly to decide important matters of state including the law. He used the body to promulgate many laws from which some of the most important legal procedures had their origin such as the quo warranto remedy. These assemblies were the forerunners of the modern parliaments or legislatures. Edward I also codified, by the Statute of Winchester as it became known, a police system to protect public order. In 1291, he instituted a system of lawyer certification and "and that those so chosen should follow the Court and take part in its business and no others." Representation of others in court has been the exclusive and statutory privilege of certified lawyers ever since, in most countries in the world. (Buddha), Indian philosopher (560 BC - 480 BC). He established a social doctrine called The Four Noble Truths which basically suggested that desire is the cause of all suffering and conquering desire would end suffering. The philosophy of Buddhism has been a tremendous influence on the development of Asiatic law. 1845-1920. Premier of the Colony of Queensland, then Chief Justice of Queensland (1897-1903) and first Chief Justice of Australia (1903-1918). He was Vice-President of the Federal Constitutional Convention of 1891 and chairman of its drafting committee. As such, he contributed more to the drafting of the Australian Constitution than any other single individual. His drafting skills live on in other important statutes, including the Queensland Criminal Code (and those of Western Australia and the Northern Territory, which are largely based on the Queensland model), and the Rules of the High Court of Australia. (1815-91). Canada's first prime minister and architect of the Canadian constitution, the British North America Act. 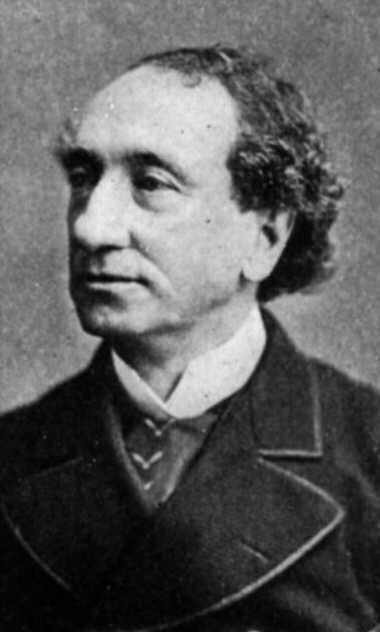 Born in Glasgow, Scotland, Macdonald moved to Canada while still a child. He practiced law in the British colony of Upper Canada and later became a member of that colony's parliament and the united parliament with Lower Canada (Quebec). His biggest achievement was guiding the constitutional conferences which led to the 1867 BNA Act, joining Quebec, Ontario, New Brunswick and Nova Scotia as the confederation of Canada. Queen Victoria rewarded him for his efforts by appointing him as the country's first prime minister, a position that Macdonald would win from the electorate many times thereafter. Macdonald led the country through many difficult periods including Fenian attacks through the USA and the union of the colonies of Prince Edward Island, British Columbia and Manitoba with Canada. Several of his legal reform measures are documented in Canadian Law: A History. 1908-1993. Tenacious human rights advocate. 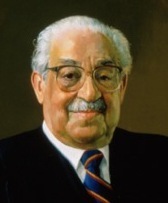 Led the most important civil rights cases as senior lawyer for the American National Association for the Advancement of Colored People, which he worked for twenty years, including monumental and high profile legal battles heard before the Supreme Court, such as the desegregation of the state-run school systems. President John F. Kennedy appointed him to the U.S. Court of Appeals in 1962. 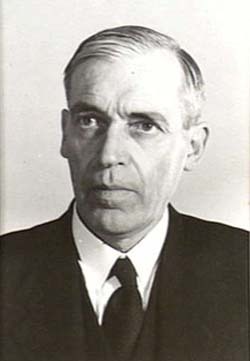 In 1967, he was elevated to the Supreme Court. During his twenty-five year tenure on the highest court in the USA, Marshall's decisions echoed his principals of anti-discrimination and equality of all citizens, of without racial distinction. 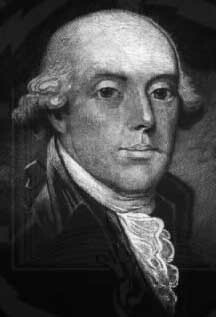 One of the signers of the Declaration of Independence, Dr. Rush pressed for an end to public executions in the United States. Founded the Philadelphia Society for Alleviating the Miseries of Public Prisons, his new ideas borrowed heavily on Beccaria and Bentham and included incarceration instead of capital punishment. He is known as the first prominent American to call for the end of capital punishment. His efforts led to Pennsylvania to become one of the first states in the world for which only premeditated murder was met with capital punishment (other states followed soon after). 1814-1884. Australian and British statesman. Worked in the customs office in London, moving to Adelaide, Australia in 1840. By 1853, he had been elected to the Legislative Council of South Australia, becoming premier in 1858. Torrens invented a new land registration system, which greatly simplified the English formalities of land conveyance. His method consolidated all land titles in a central office, the records of which were final. His system was adopted all over Australia and in several Canadian provinces such as Alberta and British Columbia. Torrens eventually returned to England where he was elected to the British House of Commons in 1868. Lloyd Duhaime wishes to thank Anthony J H Morris QC, Brisbane, Australia for the additions (including text) of Sir Owen Dixon, Sir Samuel Walker Griffiths and Sir Edward Coke. Also, thanks to Edward Clayton of Central Michigan University for his research re Cicero.